Formaldehyde resins have been used to treat textiles, particularly cotton since the 1920’s. Formaldehyde treatments are usually applied to combat wrinkling, improve stain resistance/colorfastness, and prevent mildew. Essentially, it has been used to make apparel fabrics easier to care for, transport, and manufacture over the last 100 years. Not until 1973 were formaldehyde levels in textiles monitored for safety purposes by the Government Accountability Office (GAO). The results indicated that an insignificant number of people were actually affected by this treatment of textiles. A similar study was performed in 1984, again revealing that textile treatment was not a health concern, with an insignificant number of subjects experiencing mild skin irritation. In the textile industry, regulations dictate that 100 ppm (or less) formaldehyde concentration in textiles is safe for human contact. In the previously mentioned 1984 study, 67% of apparel tested for formaldehyde indicated levels above 100 ppm. However, with the rise in regulations worldwide to protect textile/apparel laborers and consumers alike, GAO reports from 2003 and later have found less than 2% of apparel in the US tested above 100 ppm. The main health concern related to formaldehyde in apparel is allergic contact dermatitis (itchy rashes caused by skin contact). Again, the 1984 study revealed that less than 2% of the population experienced skin irritation, even at a time when overall formaldehyde levels in clothing were much higher than at present. However, for consumers with notoriously sensitive skin or those that just wish to play it safe, it’s best to wash all clothing before wearing. The general population’s worry over formaldehyde in clothes may come from recent reports on the potential risk of cancer from airborne exposure to formaldehyde. Airborne formaldehyde is much riskier and has documented serious health effects, thus it is very strictly regulated. Because airborne formaldehyde is significantly more harmful than textile formaldehyde, OSHA regulations suggest a much lower threshold for airborne exposure, usually around .5 ppm. However, once a shirt is outside of the treating location it is extremely unlikely for any formaldehyde in the fabric to become airborne at all and very little is even transferred to the skin. For these reasons and the previously described testing, any fabrics under 100 ppm are deemed safe for daily usage. But we do suggest washing any formaldehyde treated fabrics to further minimize this already negligible risk and avoid any potential allergic reactions for sensitive skin. 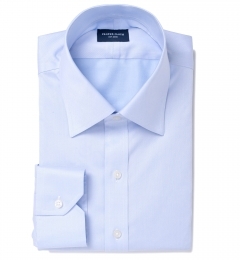 Proper Cloth non-iron shirts achieve their wrinkle free finish through a specially developed chemical process. 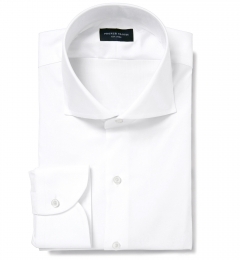 After your custom dress shirt is cut and sewn to your size and design specifications, it is dipped in a chemical resin. We use special fabrics that are prepared by our fabric mills to accept this non-iron treatment. 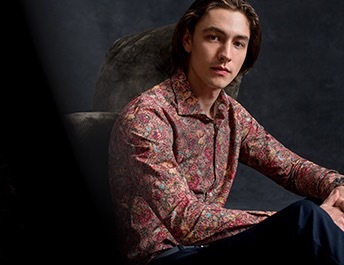 The non-iron treatment saturates the entire shirt, bonding the cotton fibers to each other at a molecular level, making the fabric much more difficult to crease. 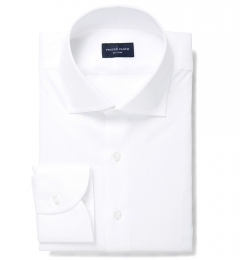 The shirt is then heat cured to lock in the non-iron treatment. Finally, the shirt is pressed and packaged. 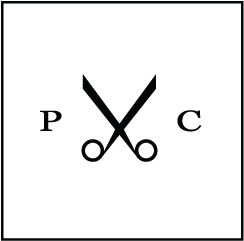 Proper Cloth’s non-iron treatment reflects very safe formaldehyde levels of under 35 ppm. This is less than half of international textile standards’ recommended 75 ppm. 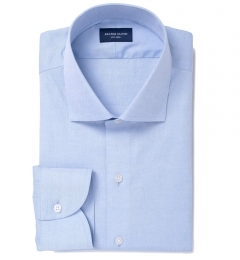 In terms of care, we recommend having your Proper Cloth non-iron shirts washed and pressed at the cleaners or washed and lightly tumble dried at home. 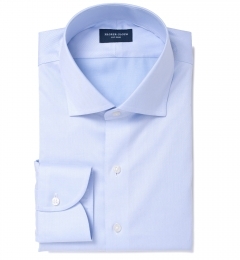 An added benefit of the heat curing process involved in finishing our non-iron shirts is that heat improves the finished shirts’ wrinkle resistance. For this reason, a low temperature tumble dry can produce excellent wrinkle-free results, ironing is easier than ever, and just by wearing a non-iron shirt, your body heat can improve wrinkle-resistance. 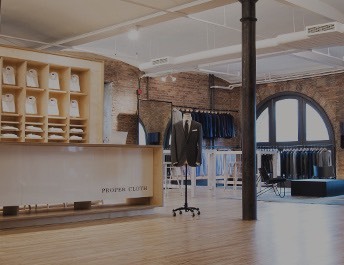 More about Proper Cloth’s custom Non-Iron Dress Shirts.